More than 70 people attended a special Rotary Oceania Medical Aid for Children (ROMAC) function on October 9, in West Auckland, NZ to recognize some non-Rotarians who have made special contributions to the work of ROMAC in NZ. 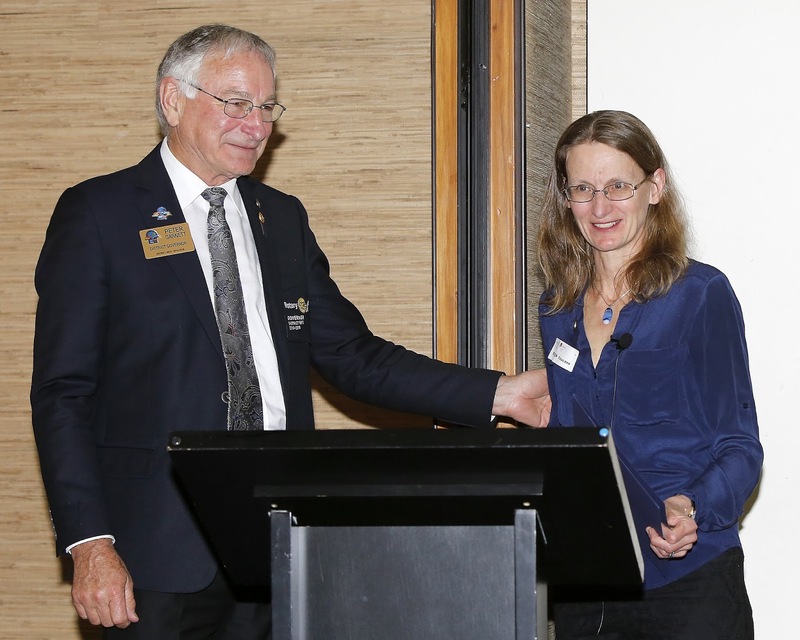 Doctors John Stirling and Kirsten Finucane spoke about the work they do in the Pacific Islands, particularly in Vanuatu and Fiji. 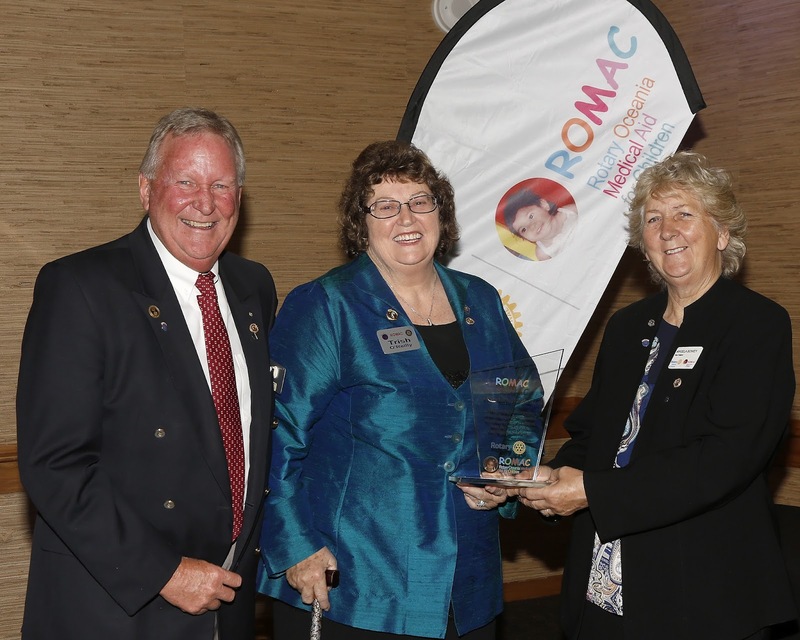 ROMAC also presented PDG Trish O’Reilly with a special plaque recognising her role in bringing ROMAC to NZ over a decade ago. She was the first NZ ROMAC Director and battled bureaucracy to enable ROMAC to bring children to NZ for surgery. It was no mean fete as initially the Ministry of Health was very resistant, but with her persistence she succeeded, so much is owed to Trish for her effort and dogged determination. Also present was past ROMAC Chairman in Australia PDG Terry Grant who convinced Trish to bring ROMAC to NZ. Trish handed over the reins to PDG Geoff Dainty and of course the rest is history. From very humble beginnings where only a few children received surgery through ROMAC’s efforts, the numbers have grown to over 20 in the past year. 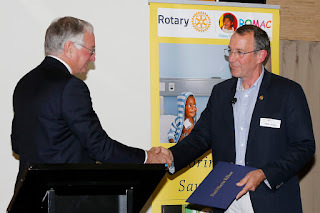 This has only occurred through the help of Rotary clubs, Rotarians, Rotary International grants and of course all the numerous volunteers. 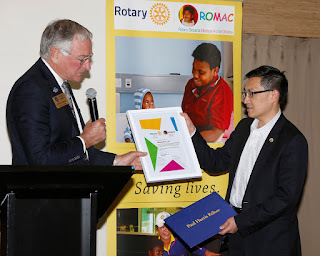 ROMAC is indebted to these people who so willingly donate their time and expertise, allowing ROMAC to allocate almost 100 per cent of the money raised to ROMAC’s work, restoring dignity and prospects of a full life to so many children from the Pacific.